Good question. I did not buy sterilized tips. I was told by a FitEyes member that they would become unsterile the instant we open the package in a home environment anyway, so there's no point. I reuse a tip for a week, then I throw it away. I probably haven't even used $5 of tips in a year (maybe far less). Since I use about 52 tips in a year and I bought 1000 tips for a very reasonable price (the cost escapes me), it doesn't seem worthwhile to try to sterilze/reuse them. I just throw them away. I keep my vial of Zioptan in a glass jar with a metal lid and a good seal. I put it in the refrig. Zioptan evaporates from the plastic vials over a period of a week or more. Each vial lasts me more than a week, so I have to store them in glass like this or the contents partially evaporate. I just put my current pipette tip in the same glass jar. When I open a new vial, I usually use a new pipette tip. FYI - I use a binder clip to hold my vial upright. I have another empty vial in the same binder clip that holds my pipette tip. All this is kept in my glass jar. I reuse mine without sterilising them though I'm very careful to wrap them in a clean washcloth after use. I recently started using the micropipettes. I bought a bag of 1000 (as indicated on David’s directions) and I use 1 tip each night, then dispose of it. So the tip is used first for one eye, then for the other. Yes, it does mean I am putting the tip back into the bottle a second time, but I am not too concerned about that. I think a lot of concern over “sterility” is overdone in many cases. 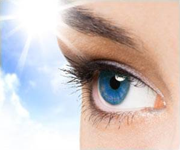 We get dirt and unsterile water/substances in our eyes daily. Even when we put in sterile drops, it may splash through our eyelashes, carrying dirt to the eye. I am using a 10 ul measure now, and I do think it helps to use less. I do not use the micropipette to put the drop in my eye. We thought that was pretty difficult and risky. I bought a Simply Touch and that is really working well for me. There are two popular designs, Simply Touch and Magic Touch. Just Google search these eye drop applicators and you will find a lot of information. I wonder if the drop is sometimes not being released from the tip of the pipette because the person does not push it down the extra step. Even pressure will bring most of the drop to the tip, but you have to push harder to “empty” the pipette. I bought the 10 ul pipette and started filling it, dropping it in my eye, then doing it again for a total of 20 ul. Then I went down to 10, filling it 1 time. Mostly I use 10 ul.